Home > Rainbow Unicorn with Gold Horn Plush 7"
The Rainbow Unicorn from Burton and Burton is an adorable small unicorn. It measures approximately 7 inches from front paws to top of the head (not counting the horn). 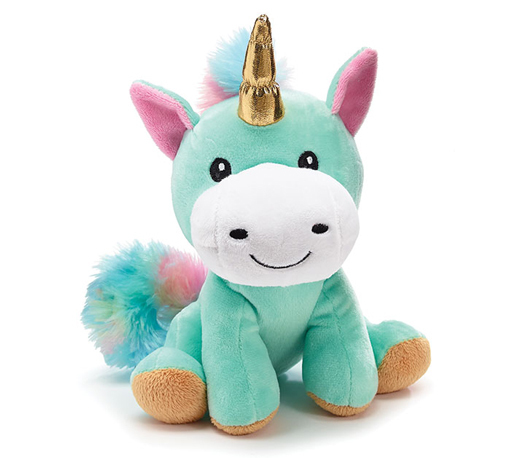 It has seafoam green plush and rainbow multi-colored tail and mane, and gold fabric horn. It is the perfect companion for toddlers. For ages 3 and up.